i was working with my dad to by a puppy. i was thinking of what kind of puppy to get. i was also thinking of what to name it. i thought of naming it marley if it was a boy. if it was a girl i would name it shelbie. when i thought hard enoygh i wanted a german shepherd so we called pet city in chyenne and the said they would have her there on tuesday july 22 or 27.
then one day we (me and my dad) went to chyenne and went to the mall. i saw the puppy and i said yep that is a shelbie. i almost cried because she was so beautiful. her birthday was may 30th 2010. she was only 7 weeks old. she was 1000 dallors. after i got her we went to eat and everything was closed so we went to wendesy. then we went home and i put somme news paper on the hasllway floor. she was winning for awhile so i got her kennel and put it in my bedroom. then i got her and put her in her kennel. when i got ready to go to bed. she was winning tell like 1:00 in the morning so i got her out of the kennel and put her her bed on the floor and she fell asleep. then at 4:00 a.m i think she got up and was trying to get on my bed. so i got up and put her on my bed. she fell a sleep again. then the nextt morning we got up and i took her for a long walk. 4 months later december 1st i had to get ride orf her because of where we lived we couldnt have a puppy there. i was so sad i cried for hours. every night after that i think about her and wish i had her in my arms petting. 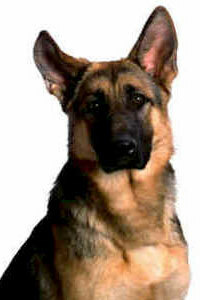 thanks for letting me share my german shepherd puppy story. Comments for My old German Shepherd puppy, Shelbie.